All in one week. 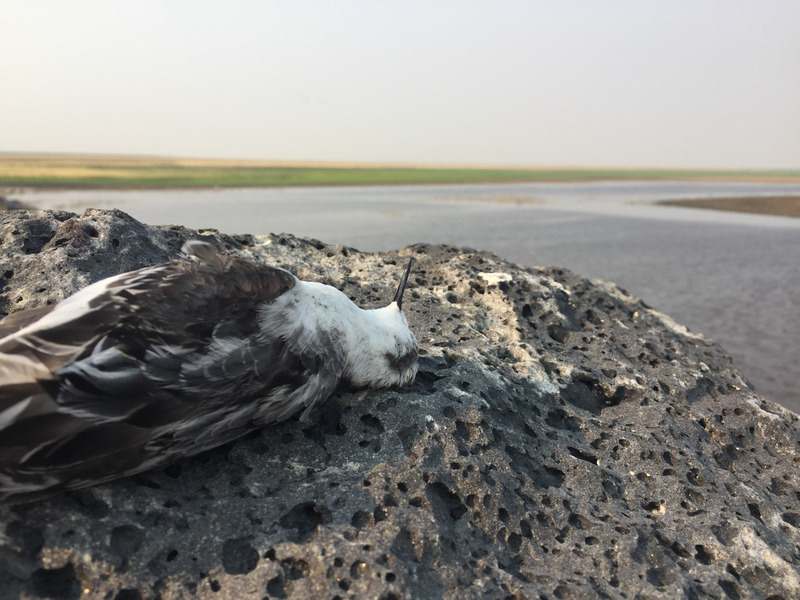 Unintentional (and preventable) but it started with a gull. A very rare gull, which is how I explained it to Tomas when I asked if he minded we leave for vacation a little later than planned. With his blessing I left work immediately, hopped in the car with Jen and we made our way towards Seattle. Nope, not that goose. Much farther out. 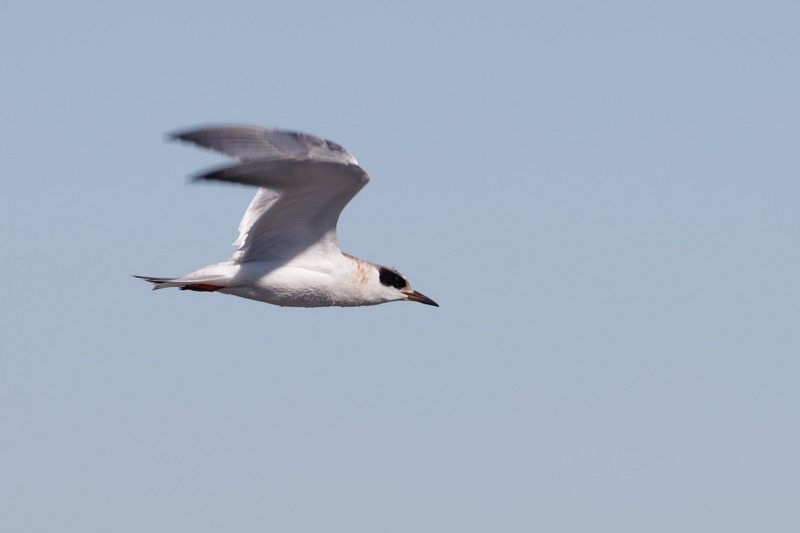 Swallow-tailed Gull! The one on the left (use some imagination). But it was there! All the way from the Galápagos. 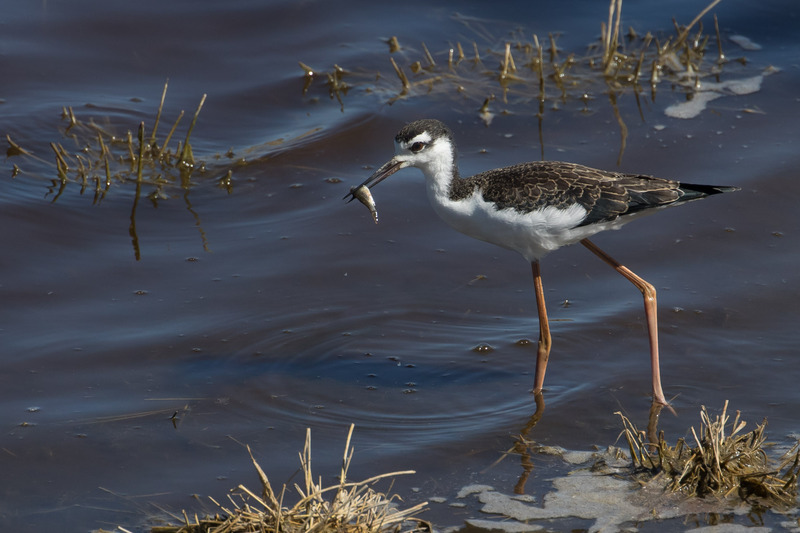 A gull that feeds nocturnally on fish and squid. Don’t ask how it got there, but I’m glad it did. Some day hopefully I’ll get better looks at the islands, because we couldn’t hang out with this one longer this day. Four hours later, back in Portland I met Tomas to start our four hour drive southeast. I volunteered to drive and pay for a hotel room since we got off to such a late start. Tomas drove an additional two and by midnight we’d made it to Burns. In the morning we found the desert. 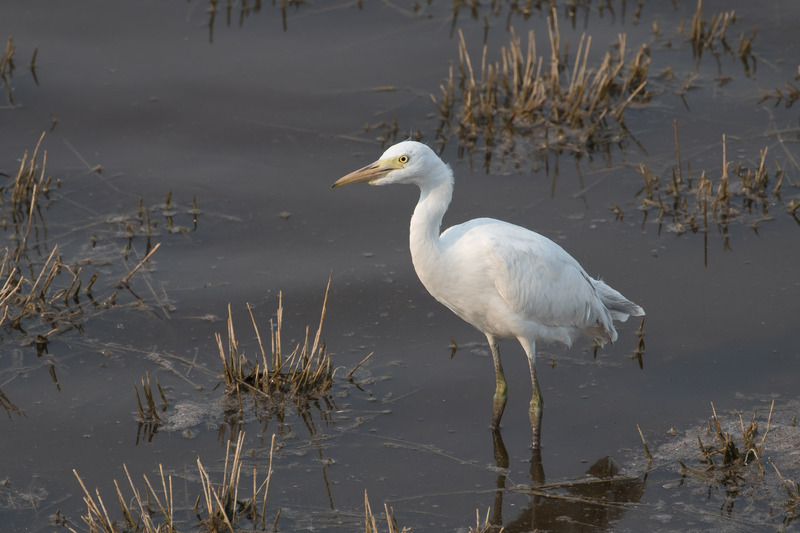 There were also egrets and heron on site, easy ones like Snowy Egret, Great Egret, Great Blue Heron, and these next couple of complicated birds that I almost don’t want to mention. 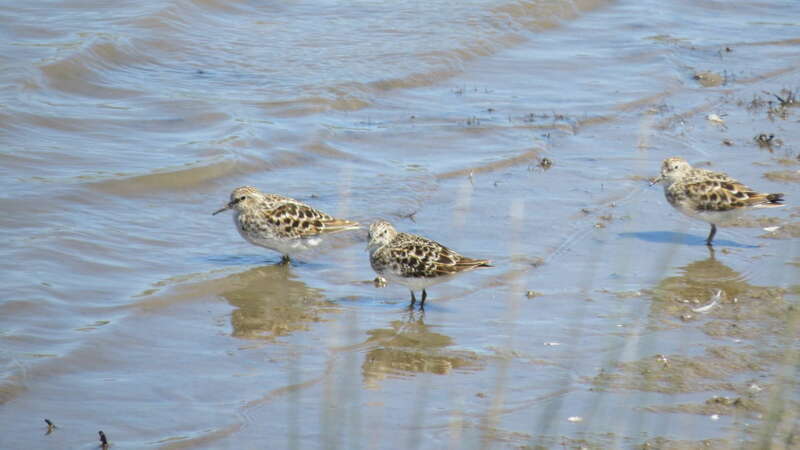 They are difficult birds to ID and neither one fits neatly in a box. Some call them Hegrets. 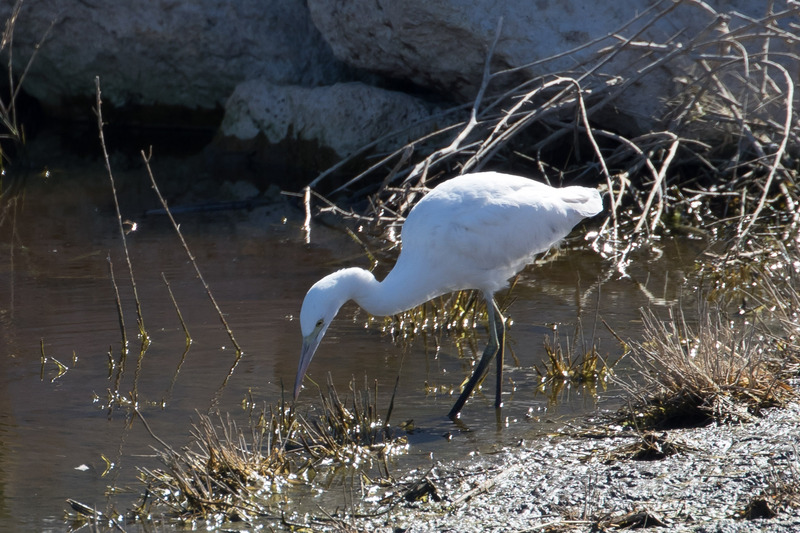 They’re somewhere between a Little Blue Heron and Cattle Egret with features of each. 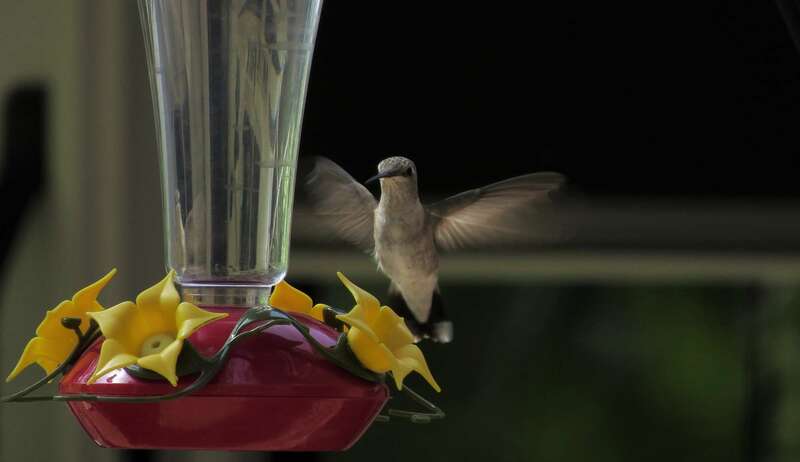 Don’t look so innocent with those dusky tail feathers. What are you? 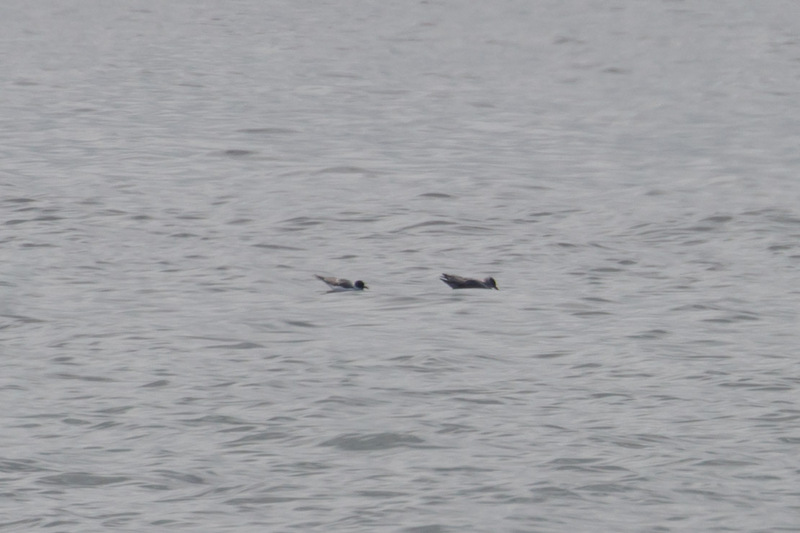 The weirdest find were two dead Red-necked Phalaropes near the road. Wth. 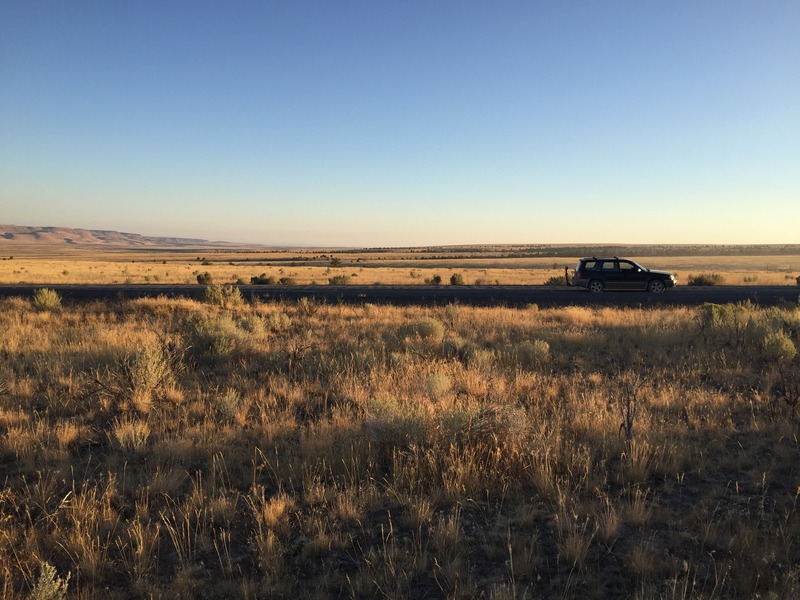 We got stuck in a few cattle drives which was entertaining at first, but grew old quickly after dodging endless piles of stubborn cows. 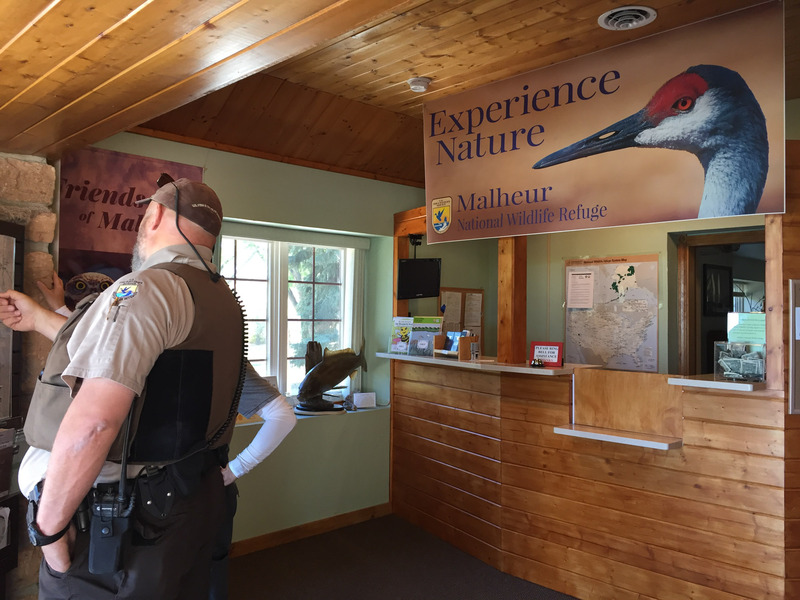 Once beyond the bovine we finally made it to Malheur Headquarters, at last reopened to the public. 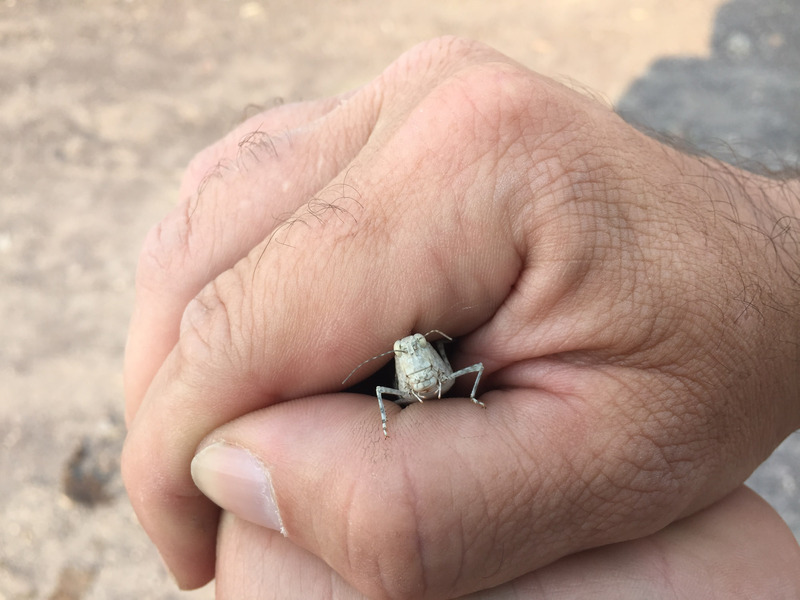 It was nice to see it in the hands of the park service. As it should be. 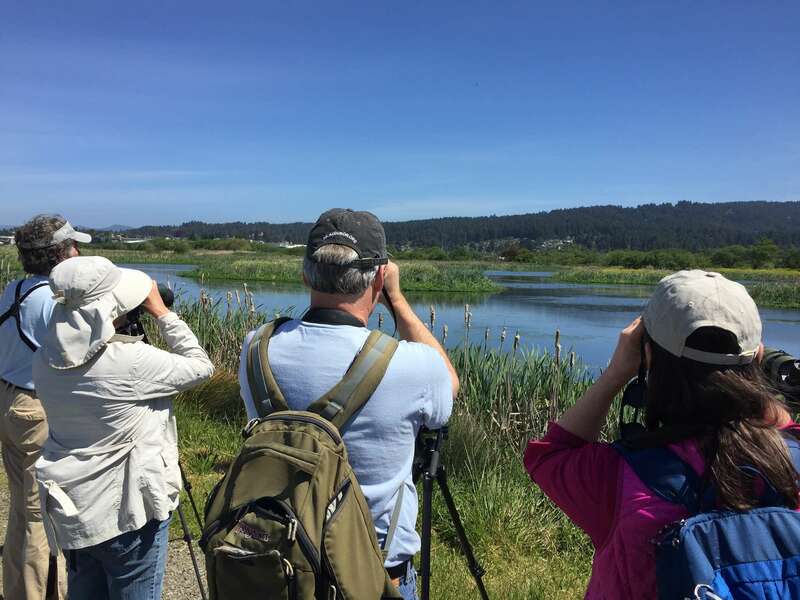 Nothing unusual bird-wise here, Rufous Hummingbird, Caspian Tern, Greater Yellowlegs, Killdeer, Say’s Phoebe, and so many Yellow-headed Blackbirds. 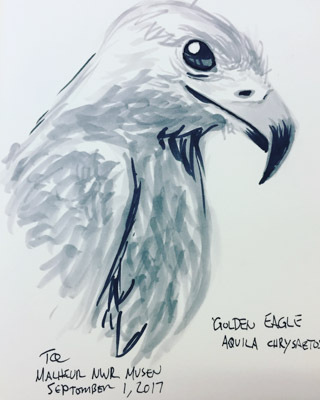 While I birded the grounds, Tomas spent time in the museum sketching a Golden Eagle. It was late afternoon and hot, hot, hot by this time so we headed towards our lodging destination, the Frenchglen Hotel. We were excited to see what else we could find in the desert. 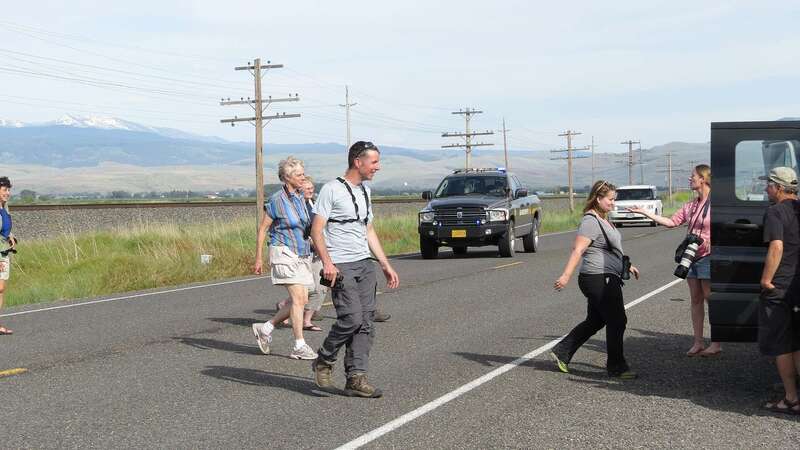 For a second year I joined Portland Audubon’s Birdathon, touted as the “biggest baddest birdathon this side of the Mississippi.” And for a second year I was thrilled to be a part of the Put an Owl on It team. 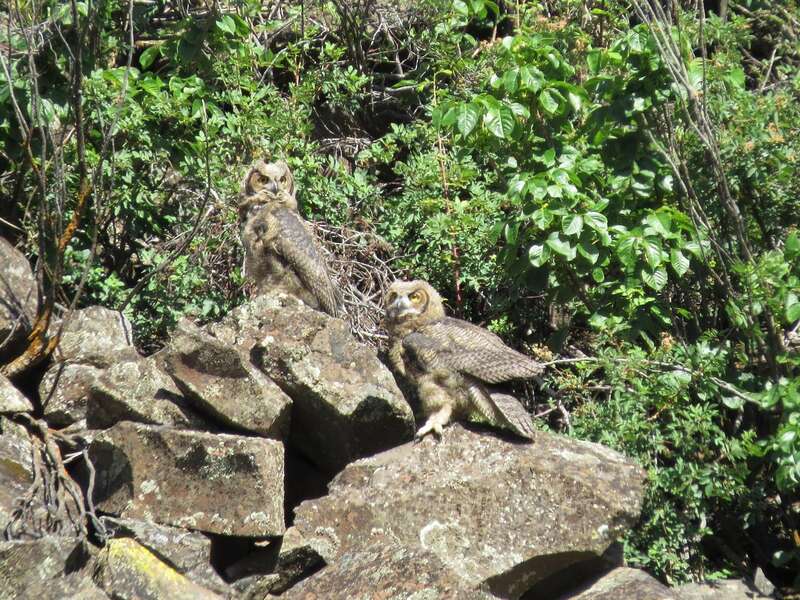 Last year’s trip was one of the best birding days of my life – 5 owl species in one day!! 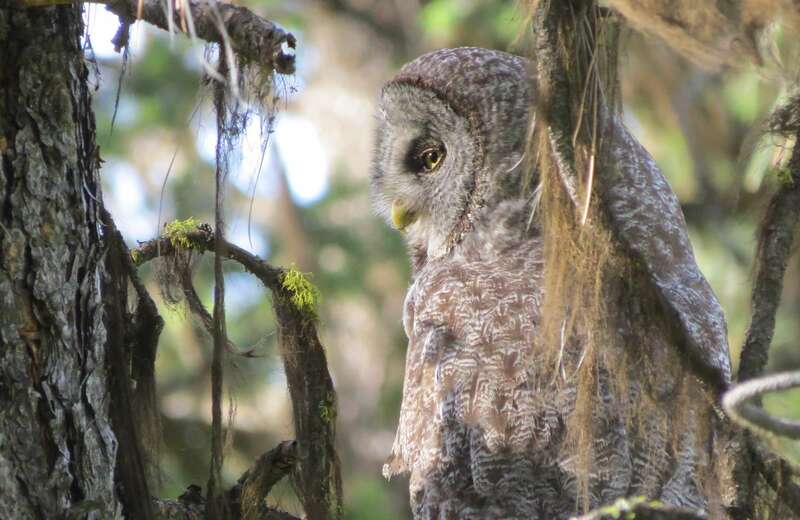 This year’s agenda expanded to eastern Oregon for a two-day Blue Mountain adventure with the hopes of seeing Great Gray Owls. Spoiler alert- we found them. I went into the trip with 299 life birds. How cool would it be to have the Great Gray as the 300th bird? That didn’t happen, but Bank Swallows are pretty cool too. Lucky #300!! Sadly, no pictures because the van flushed two nicely perched swallows on a fence as soon as we drove near. Van-birding can be quite a challenge. 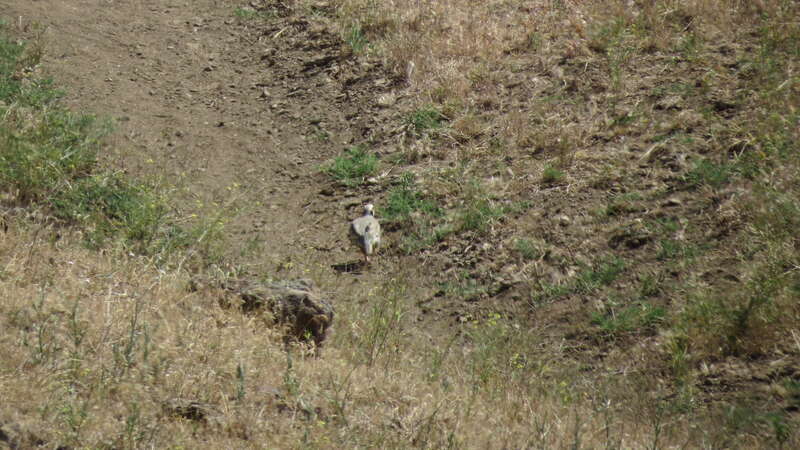 While exploring country roads in Umatilla county, we also flushed lifer #301, this Chukar fleeing for its life. 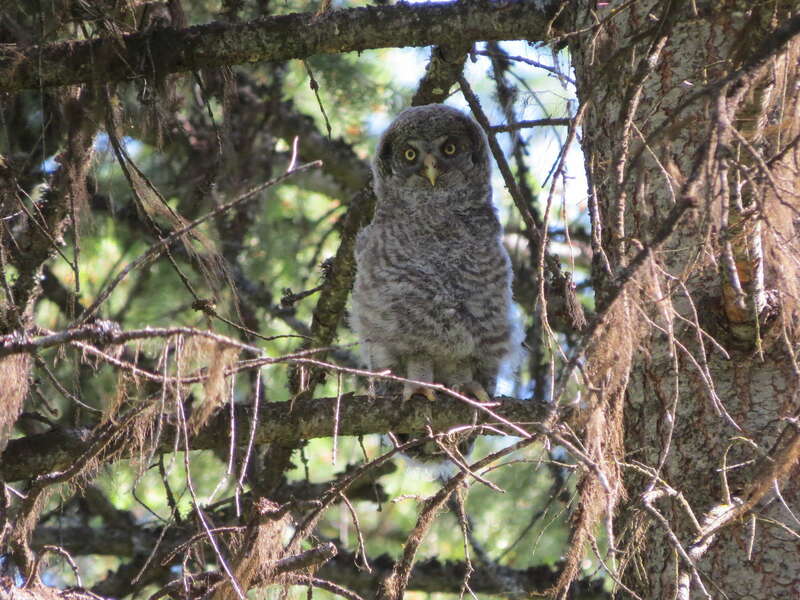 It’s all worth it though when you climb out out of the van and meet a pair of Great Horned Owls fledglings. 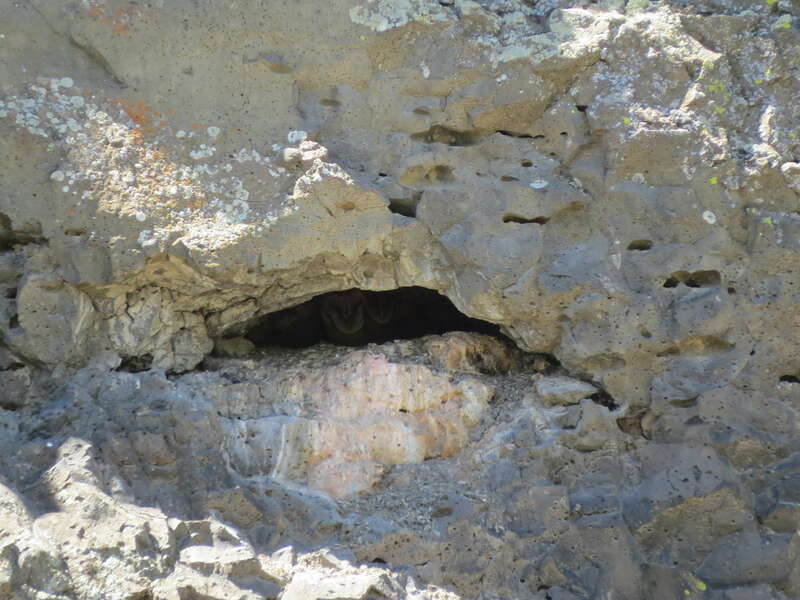 Or a family of Barn Owls smooshed in a natural cliff wall cavity. 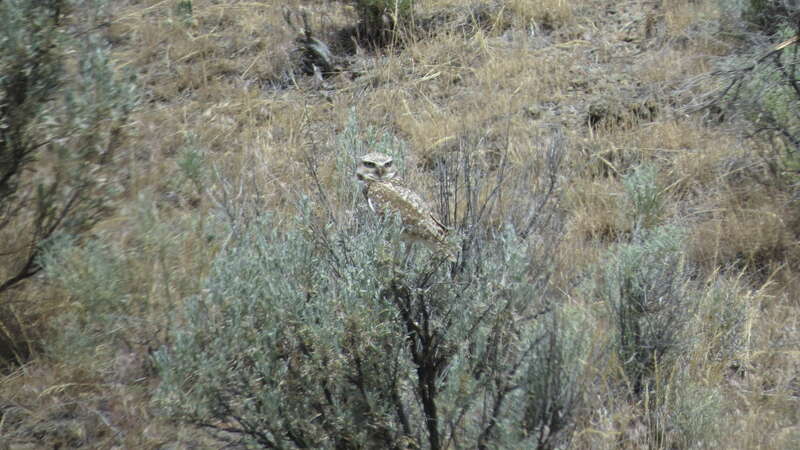 And it’s especially worth it to see a Burrowing Owl perched atop sagebrush in the Oregon desert. 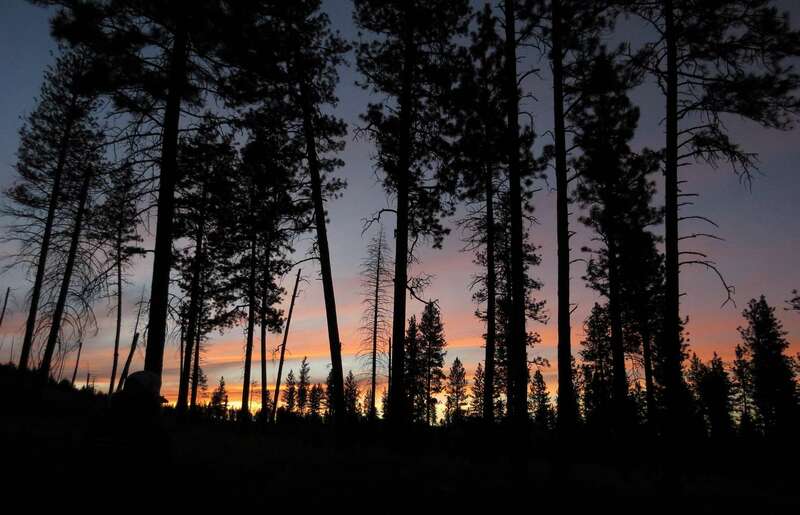 It was incredibly hot that weekend, nearing (if not over) 100 degrees. 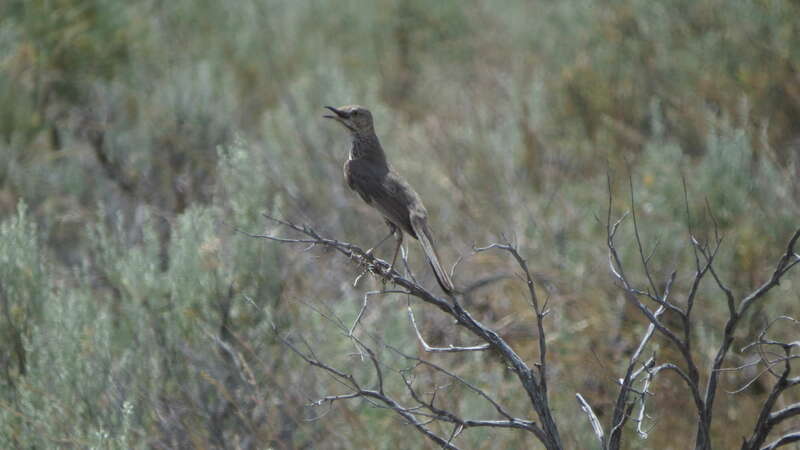 Some birds like this Sage Thrasher panted to stay cool. That is one hot bird. 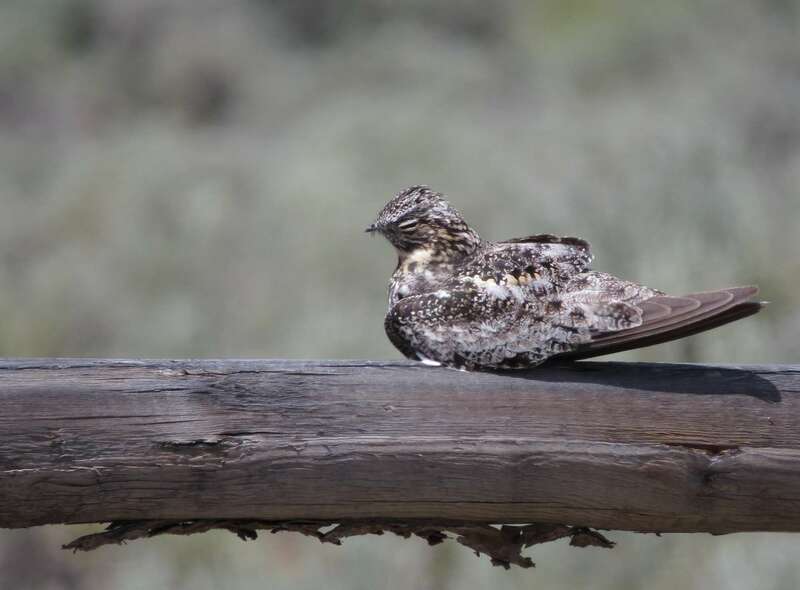 Seeing a Common Nighthawk perched on a fence has been on my birding bucket list since the moment I found out they do this. We found two. Success! And two vans with 19+ people managed not to flush them. It was that damn hot. It cooled down some once we gained elevation making our way into the pine forests of the Blue Mountains. 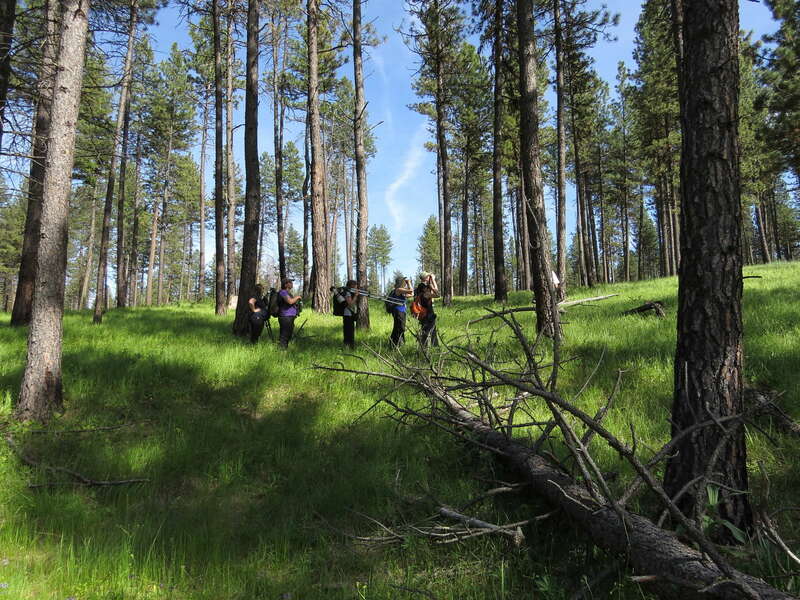 And here in this forest is where we met the family. Mom and her three owlets. 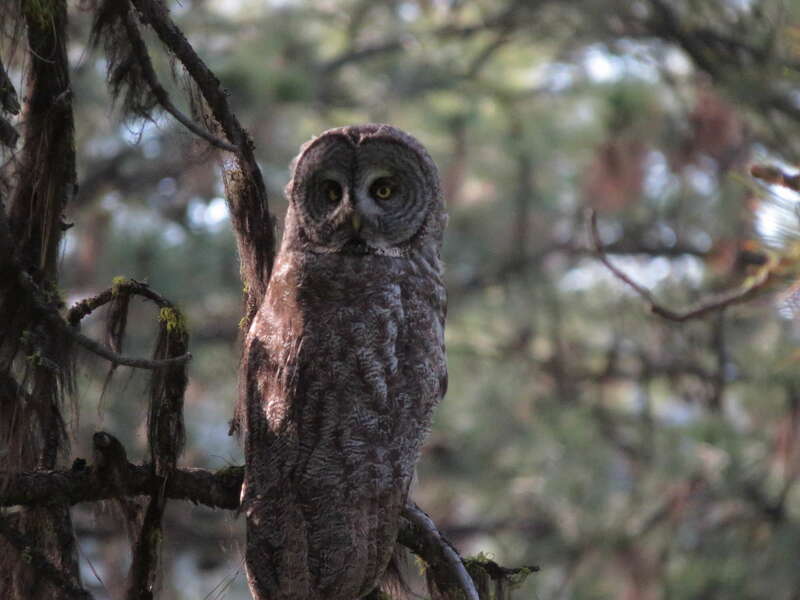 It was so special sharing forest space with these owls. They were incredibly chill. 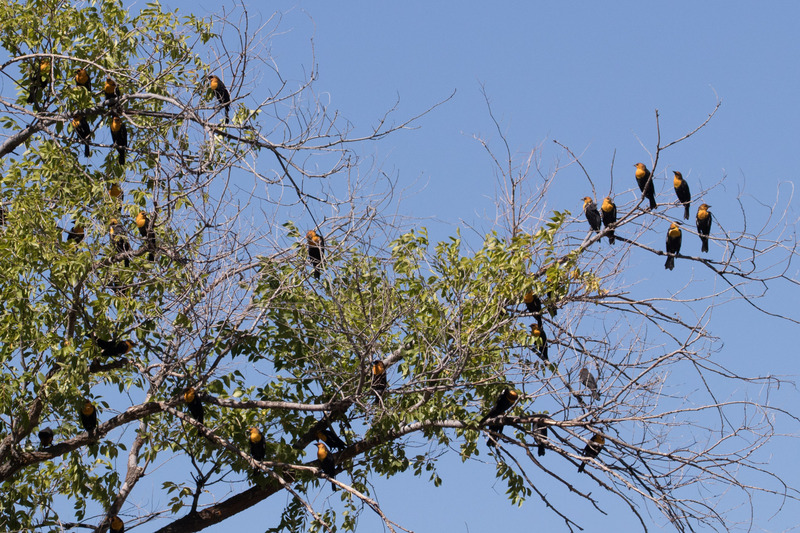 We sat down on the grass and pine needles under trees nearby, relaxed, chatted and ate snacks, while watching the fledglings stretch their wings and walk awkwardly along the branches. 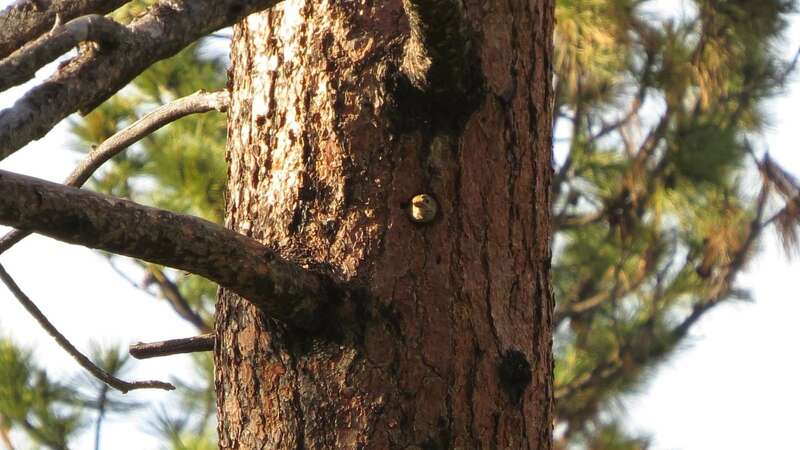 And if owl entertainment wasn’t enough, there were active nesting holes visible on site with Pygmy Nuthatches, Mountain Chickadee, Western Bluebird, Lewis’s Woodpecker, and Williamson’s Sapsucker (another lifer!). 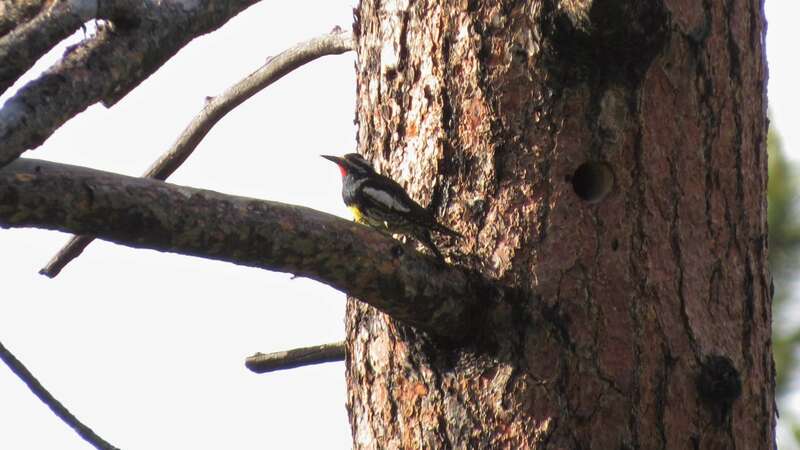 And songs of Western Tanager, Cassin’s Finch, House Wren, Western Wood-Pewee (PEEEeeeeer), and a new flycatcher for me, Hammond’s Flycatcher (ChiBik). 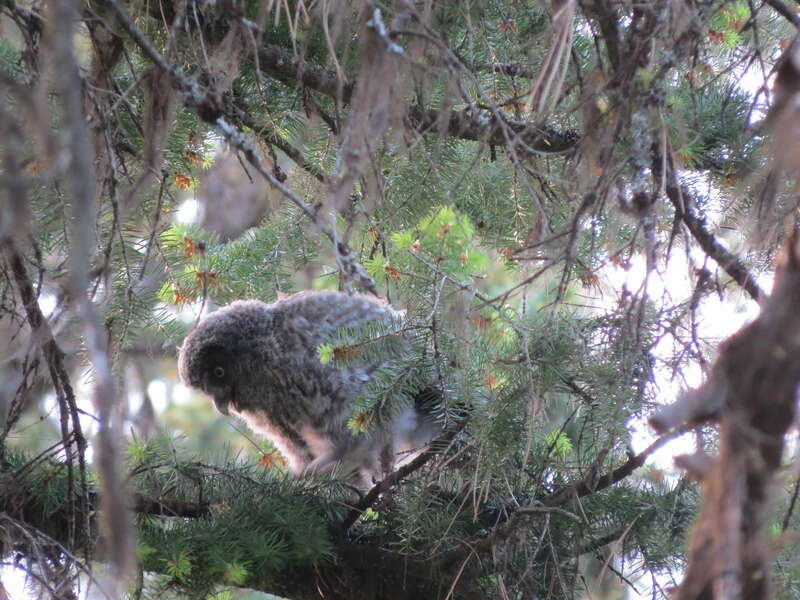 As soon as the sun lowered, Great Gray fledgling activity picked up, the owlets begged noisily for food. 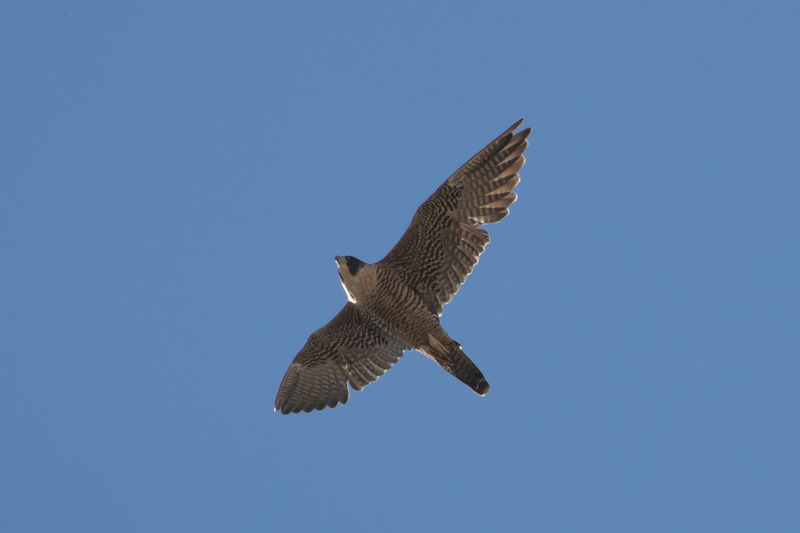 The skies darkened and mom obliged, swooping over the fields to hunt. We enjoyed watching the owl show until the sun disappeared and the bats came out. Before exiting the park, we piled out of the vans in the dark one last time to listen for other potential owl species. 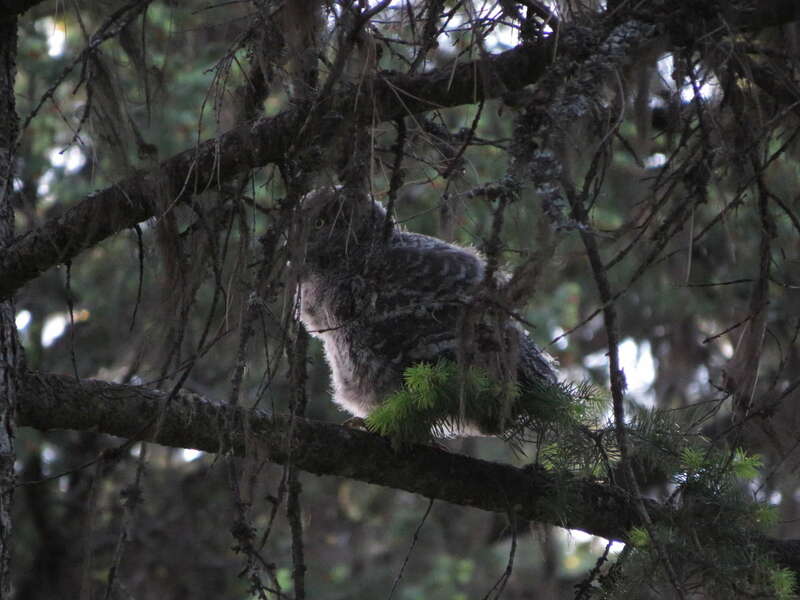 While waiting, we occupied time peering at Jupiter’s moons through the spotting scopes, and just before calling it a night, an adult Great Grey Owl flew over our heads towards an area of the forest with at least one owlet calling! There’s nothing like an unexpected owl surprise to liven things up. 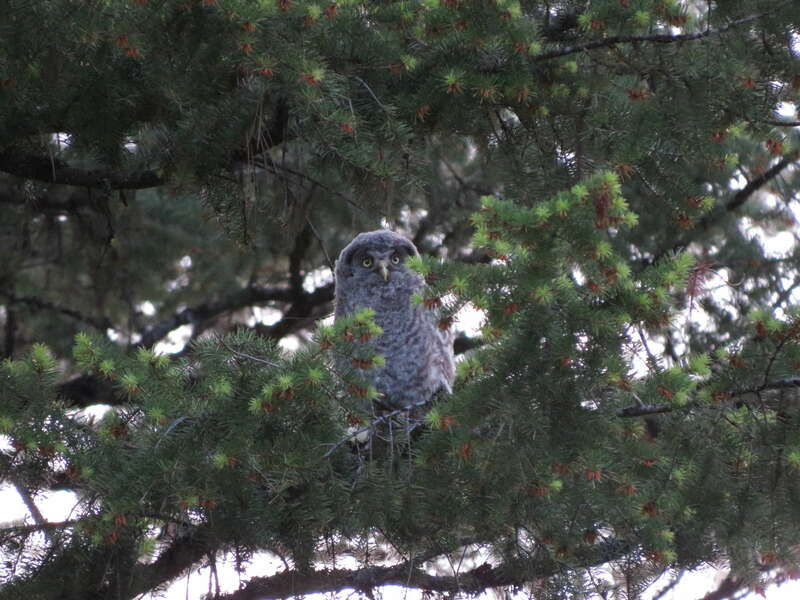 We rode the owl high all the way back to the hotel in La Grande. 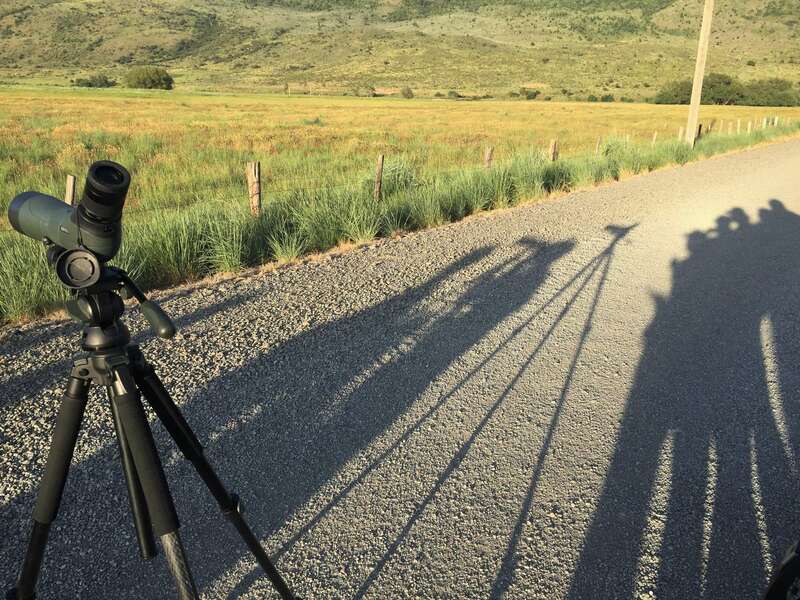 From darkness to early morning light, a handful of birders opted for an early-morning Bobolink side trip. 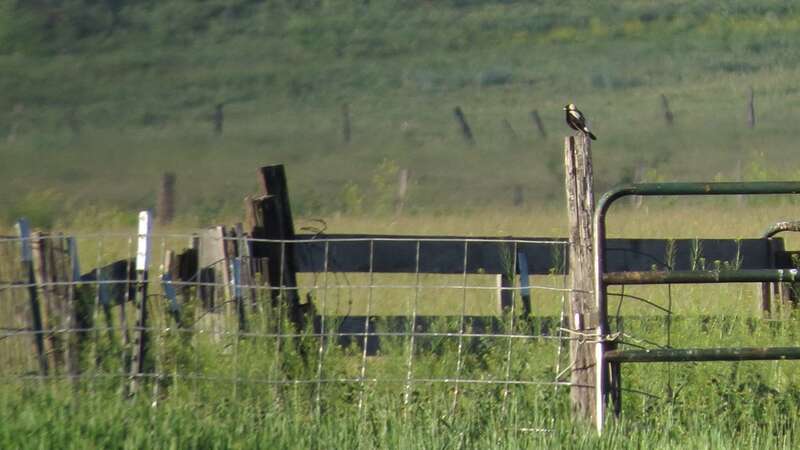 In a distant farm field we observed several pairs of Bobolinks chase each other up, over, and into the grasses while chattering their buzzy metalic song that sounds like a broken R2-D2. 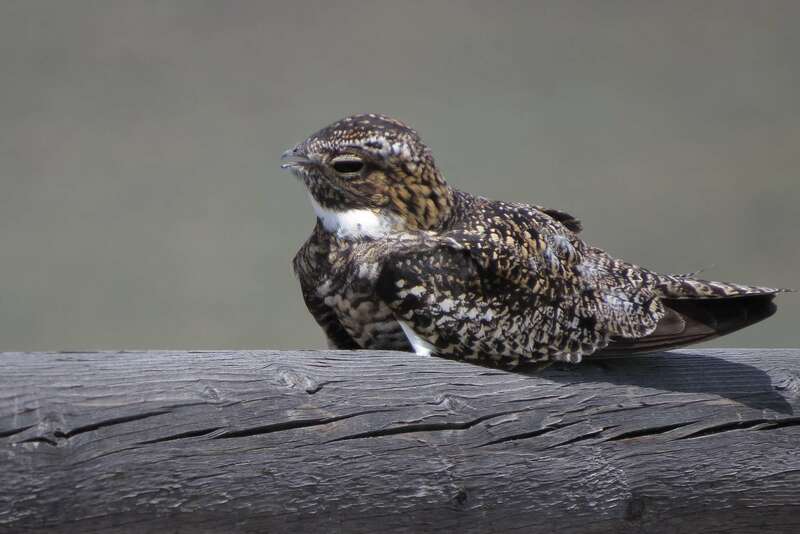 A bit far for decent photos, but here’s an identifiable pic of one on a fence post. 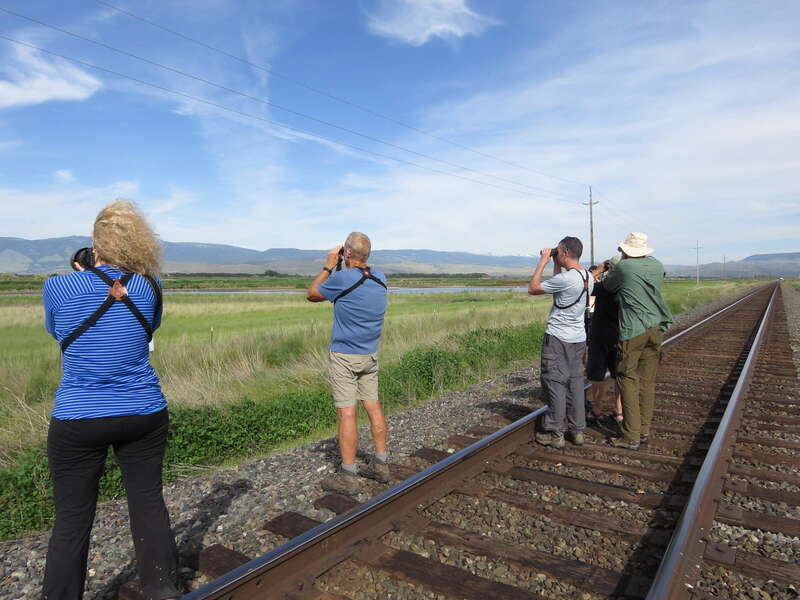 After, we reunited with the rest of the group and the sightings continued: Eastern Kingbirds, California Quail, Loggerhead Shrike, Black-billed Magpie, and Long-billed Curlew, to name a few. 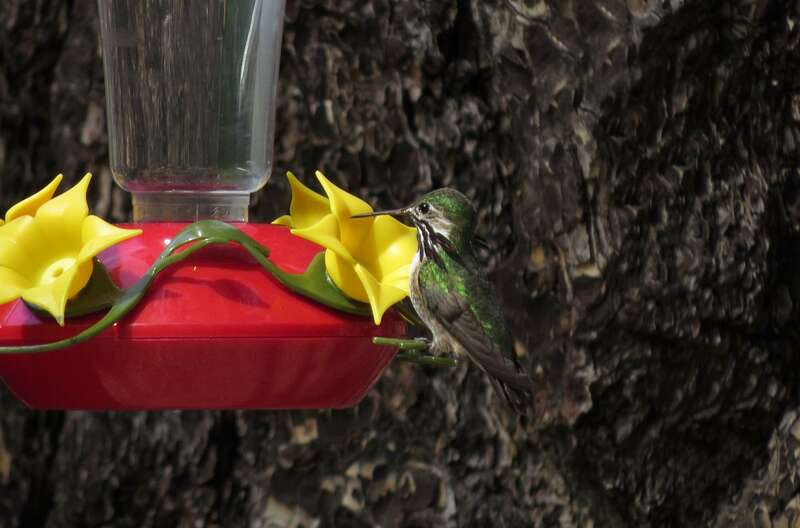 At Catherine Creek State Park, we introduced ourselves to a generous couple camping with a hummingbird feeder at their site. 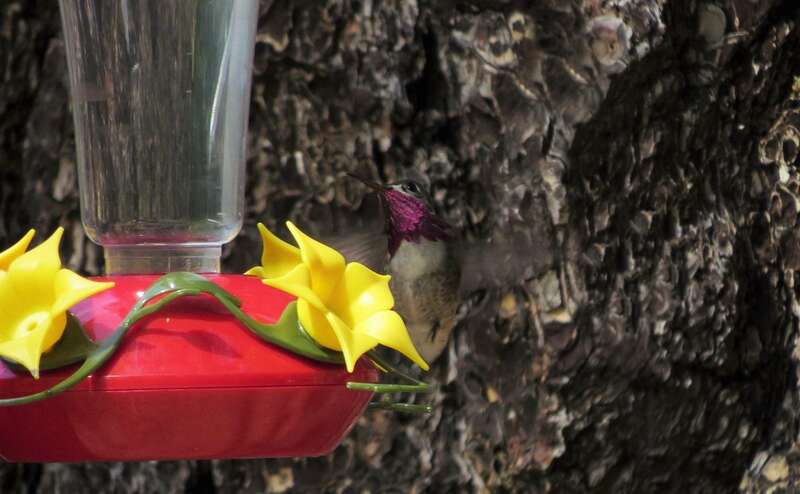 Thanks to them, we got good looks at Black-chinned and Calliope Hummingbirds. 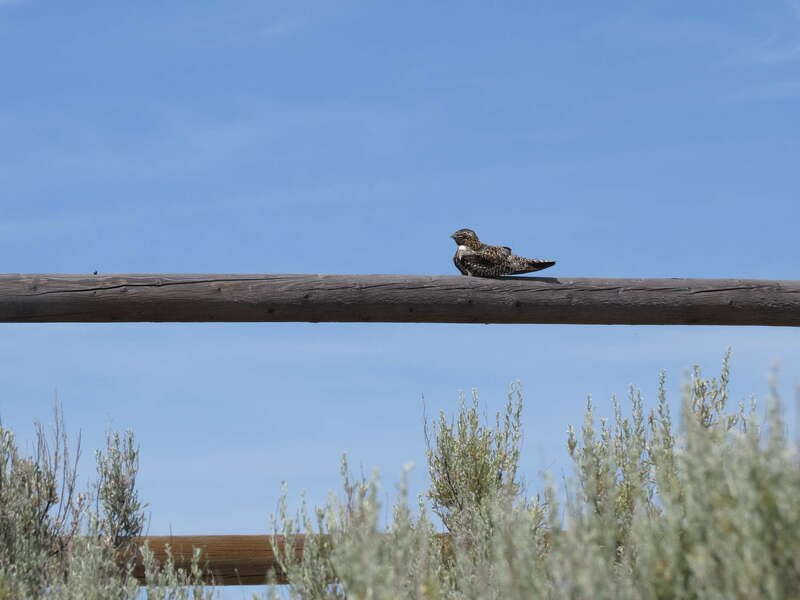 This was only my second time seeing a Black-chinned Hummingbird (the first was just a week prior at Painted Hills), and it was my first encounter with Calliope Humminbgird. They’re so pretty and so tiny! There was another new surprise in the brushy thickets at this park, a small thrush called a Veery. Too bad I didn’t get a visual on this shy cinnamon-colored thrush, but I heard its song and call and that was pretty satisfying. Some nineteenth-century observers described the Veery’s song as “an inexpressibly delicate metallic utterance…accompanied by a fine trill which renders it truly seductive.” Yep, I was totally seduced. 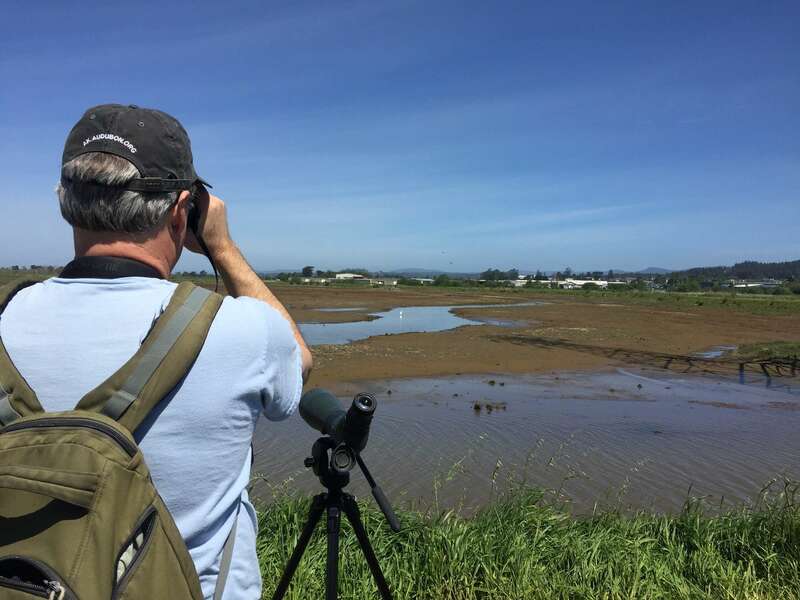 One of our last stops was at Ladd Marsh Wildlife Area where we saw Gadwall, Redhead, Ruddy Duck, and yet another new species, a shorebird called Wilson’s Phalarope. 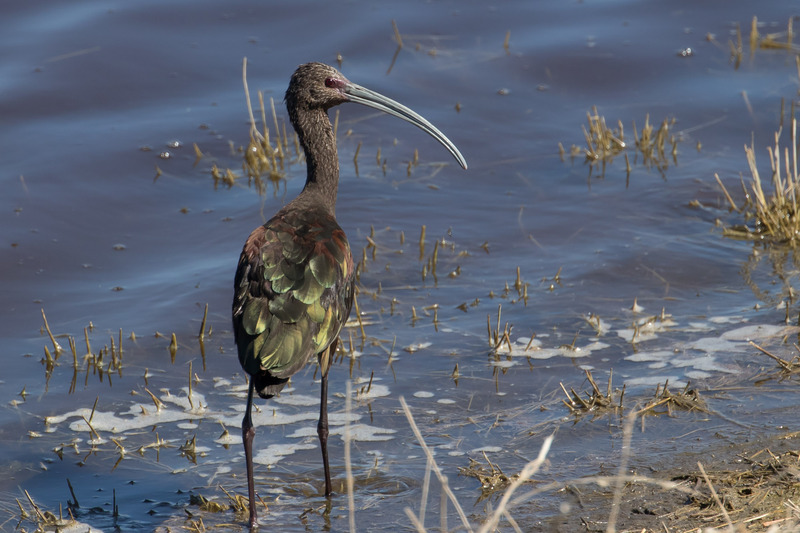 At the marsh, there were also a pair of nesting Swainson’s Hawks, both Eastern and Western Kingbirds, Sandhill Cranes, Red-winged blackbirds (chasing an American Bittern), Black-crowned Night Heron, Ring-necked Pheasant, Yellow-headed Blackbirds, and Northern Harriers. To name a few. 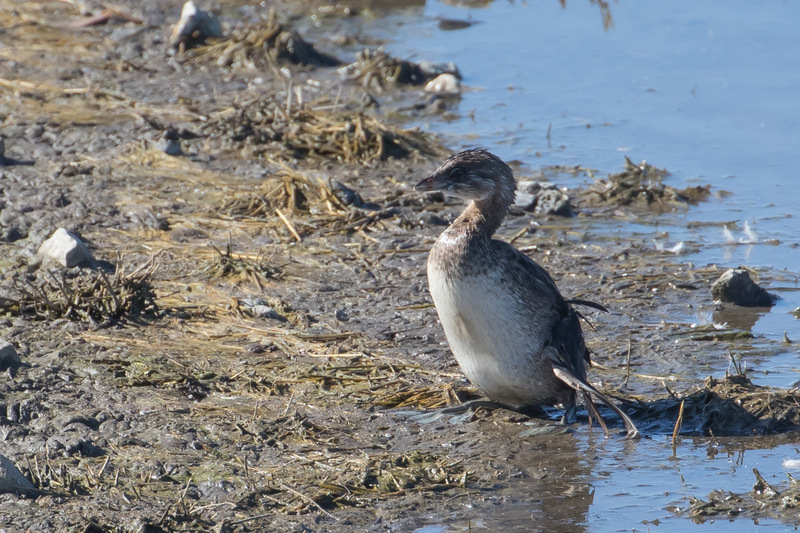 On the way back to Portland, we pulled off the side of the highway to bird a pond next to some railroad tracks. We joked about the safety and legality of this birding spot. Then we turned around to see a law enforcement vehicle stopped at the road with lights flashing. 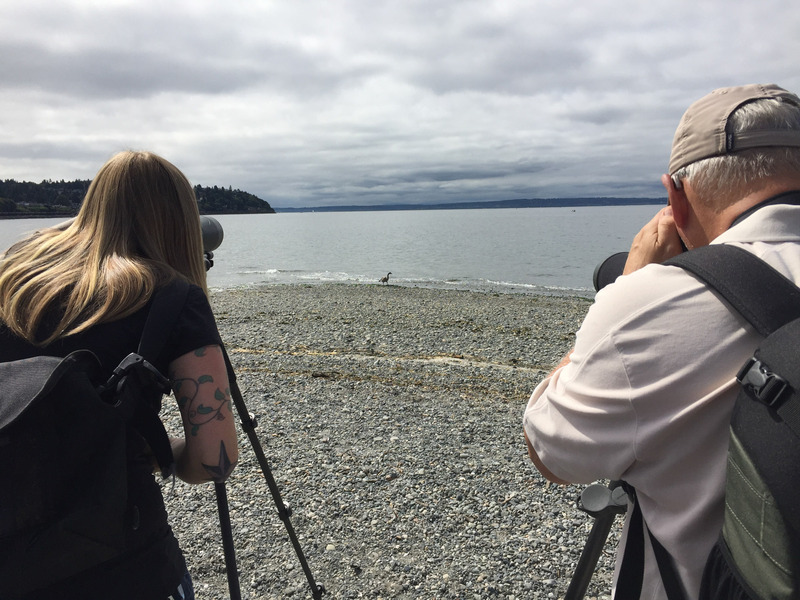 Busted birders. Turns out the officer had just thoughtfully stopped traffic for us to cross the road without incident. Whew! 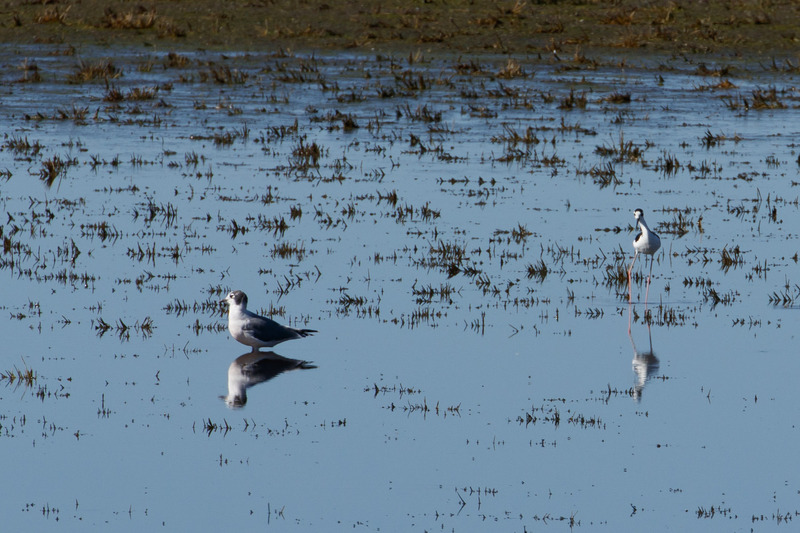 It was totally worth almost getting arrested to catch a glimpse of American White Pelican, Black-necked Stilt (! 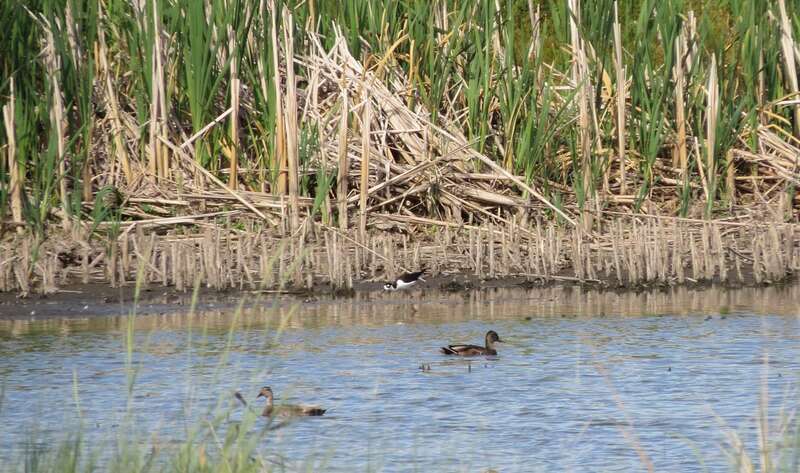 ), teals, and nesting American Avocets. I had a blast reuniting with team members from last year and making new friends this time around. Thanks to the trip leaders Scott Carpenter, Rhett Wilkins, Joe Liebezeit, and Mary Coolidge, you all rock. And of course, many thanks to my donors for making my fundraising such a success. 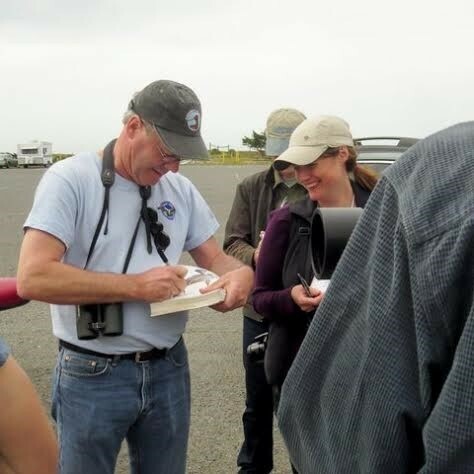 I raised over a thousand dollars contributing to Portland Audubon’s $170,000+ for conservation. Thanks to all involved helping such a great cause! 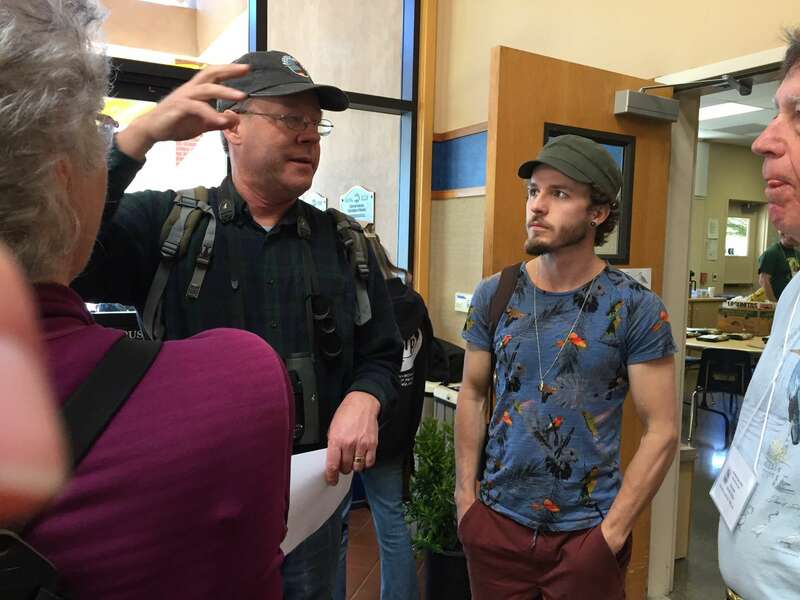 Just when you think birding life can’t get any better, you go on a trip with David Sibley. Pay no attention to that shirt. 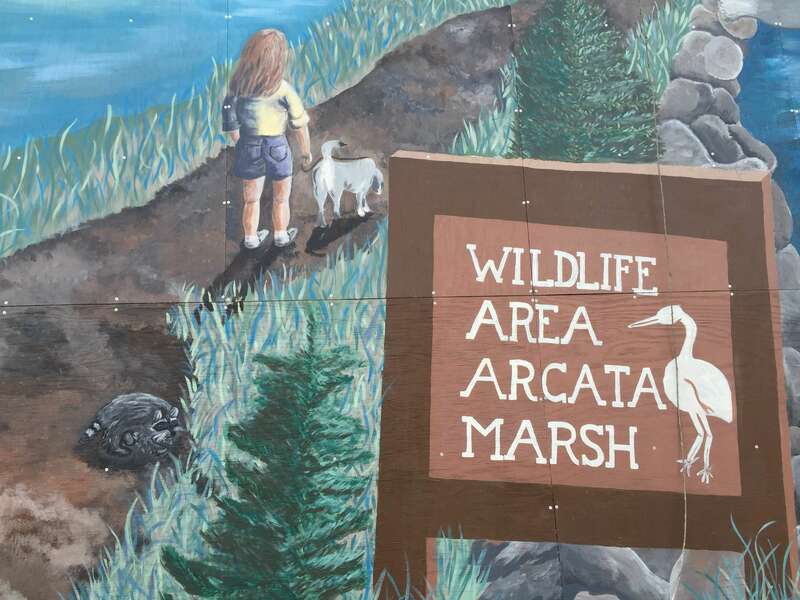 We birded the Arcata Marsh and Wildlife Sanctuary a.k.a. Arcata’s Wastewater Treatment Plant. It’s actually a pretty ingenious system. 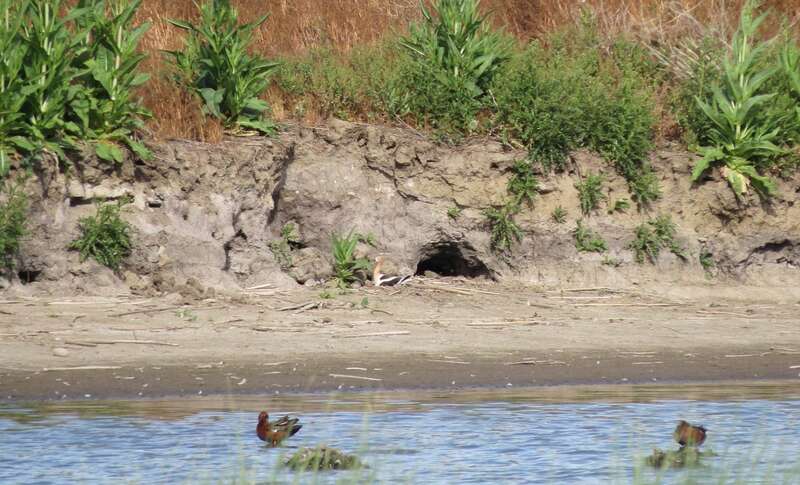 Part recreation, research, refuge, and part wastewater. Keeping it classy. 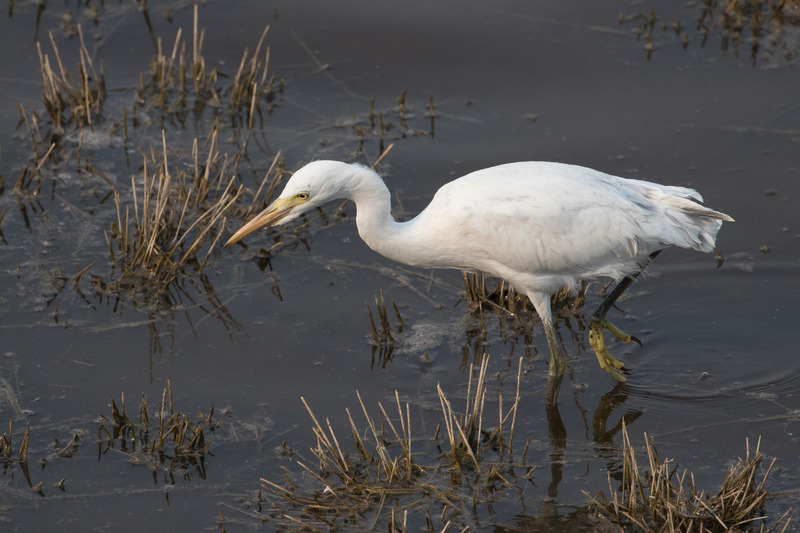 The variety of sanctuary habitat is key for birds in this area: freshwater marshes, salt marsh, tidal sloughs, grassy uplands, mudflats, brackish marsh, ponds, etc. 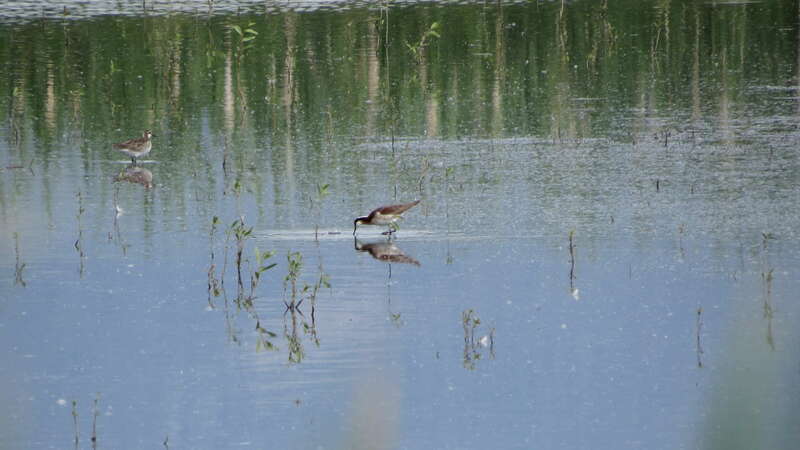 Shorebirds especially love it, but the first bird on this trip that caught our attention was the highly vocal Marsh Wren. 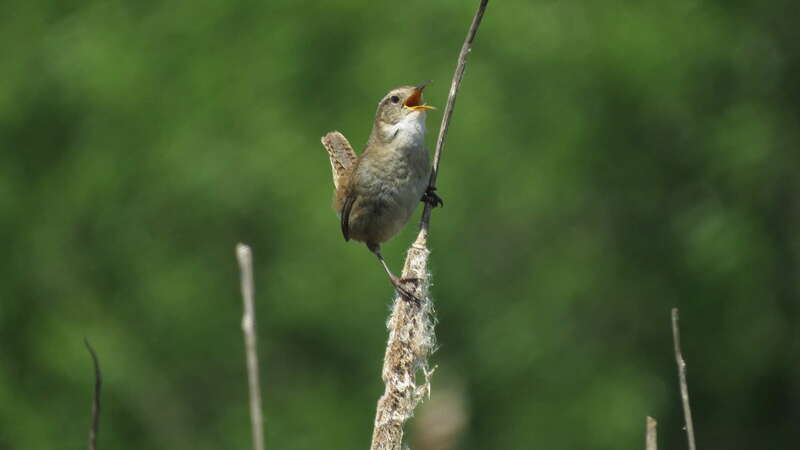 Sibley explained, though currently considered one species, Marsh Wren populations in the western U.S. are probably a separate species from the eastern populations because of the differences in songs (the eastern birds have about 50 “musical” songs, the western up to 200 “harsh” songs), and their slight variation of appearances. 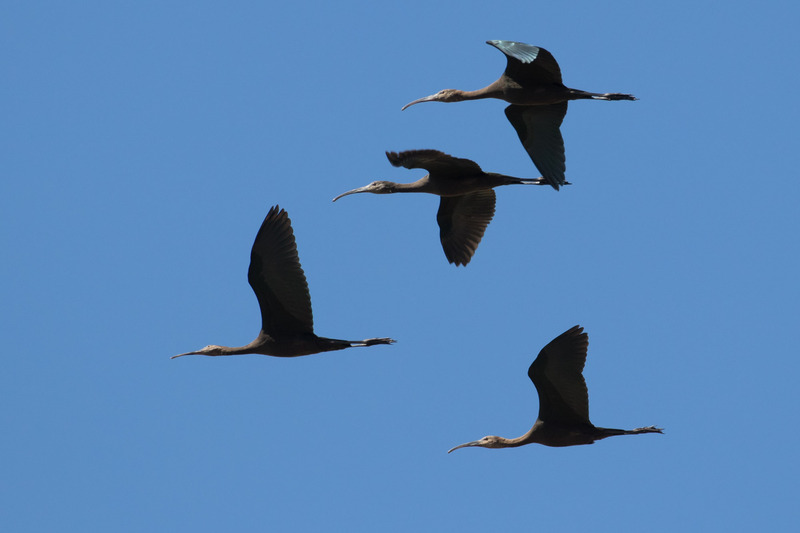 We continued scanning the marsh and saw a White-tailed Kite, Yellow-rumped Warblers, and a spring of Green-winged Teal. 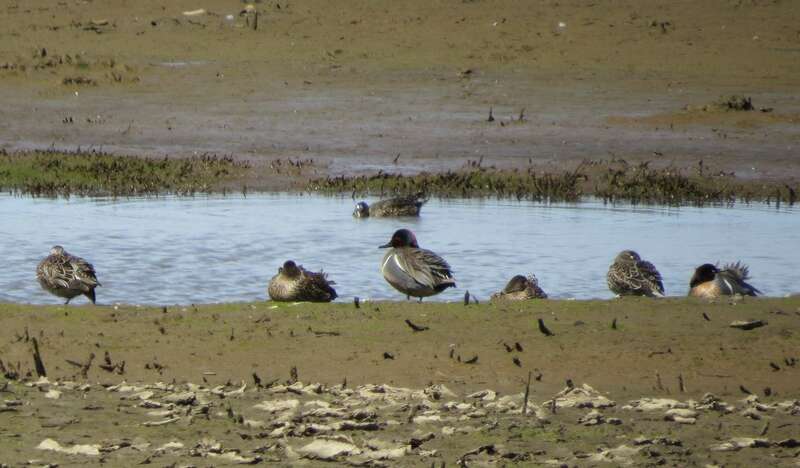 One teal stood out to Sibley as an “intergrade” with both a vertical white bar of the American subspecies, and the horizontal white bar of the Eurasian subspecies. 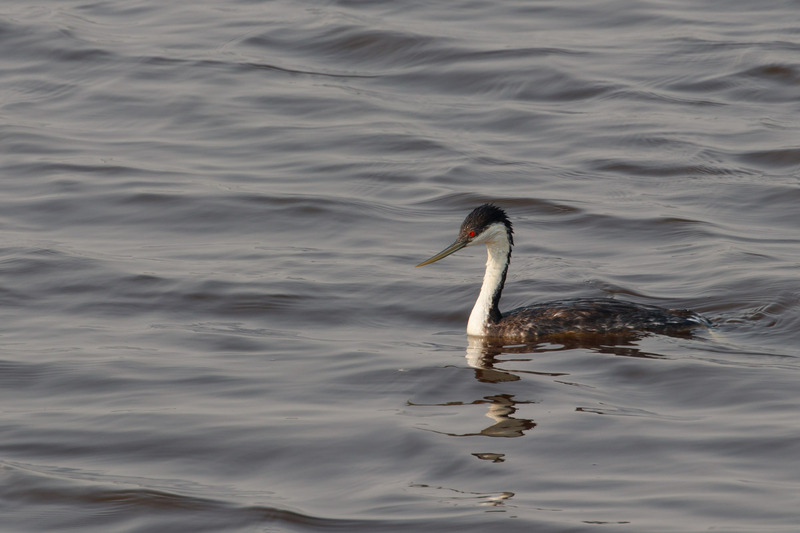 In another pond were American Coot, Gadwall, Eared Grebe, and Lesser Scaup. 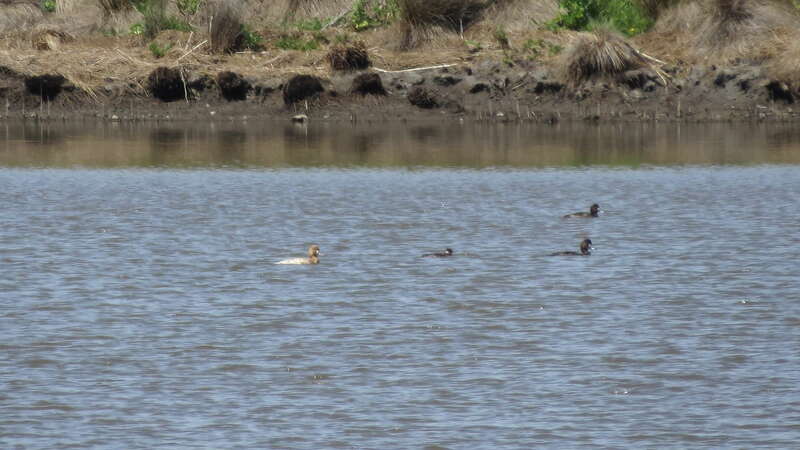 One unusually light-colored scaup was identified as a leucistic female Lesser Scaup. “Leucistic” is partial loss of pigmentation (not to be confused with albinism, a total absence of melanin). 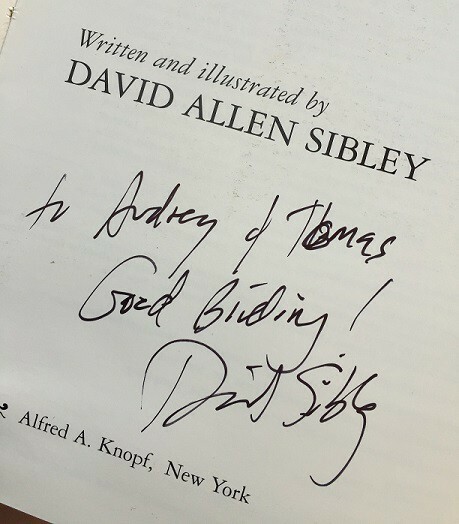 Apparently, odd-ball birds show up when Sibley is around. He has a profound scientific understanding the natural world around him. 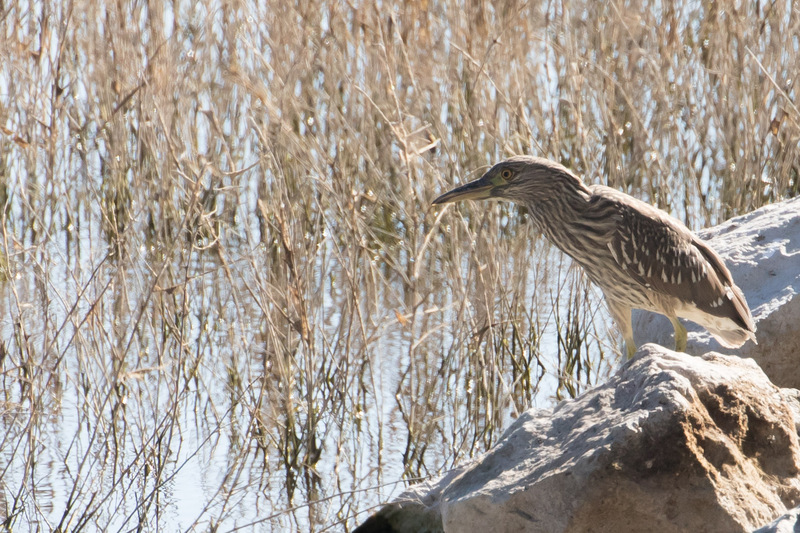 We watched the Least Sandpipers at the edge of the pond, while he described how hormones determine the melanin differences between the birds’ feathers. 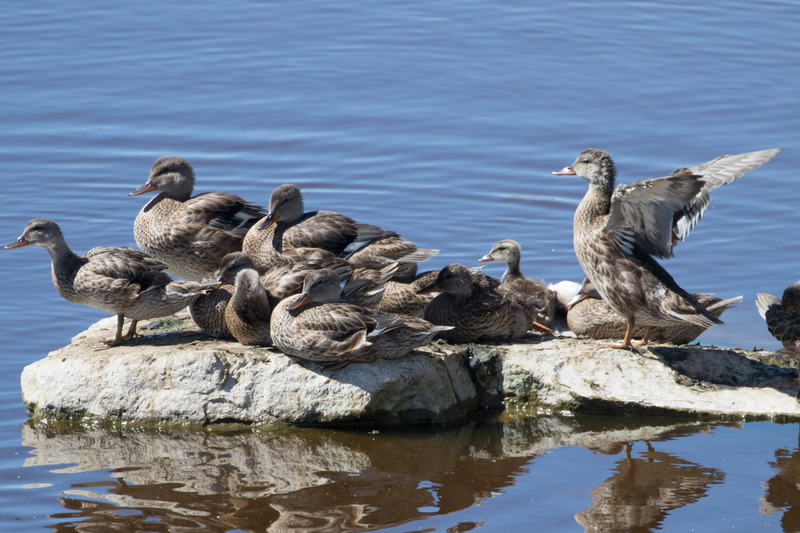 The bird on the far left has more greyish-whitish edges on its feathers (like winter plumage), and the others have more rufous color and black in the centers of the feathers (closer to breeding plumage), therefore with more breeding hormones. Swoon. 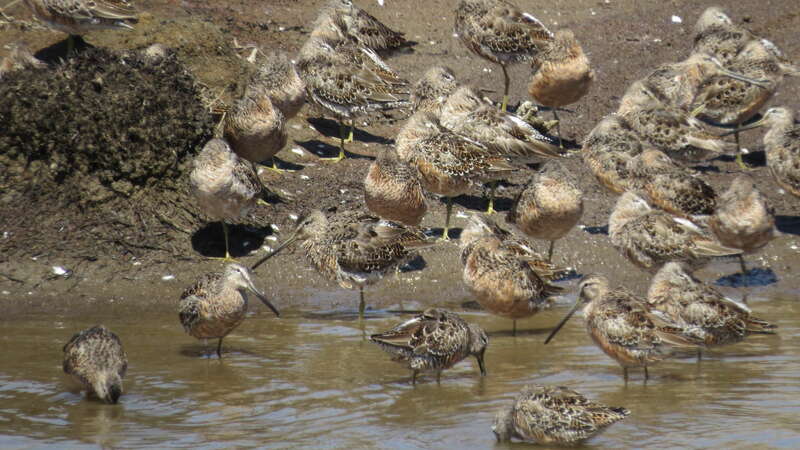 And these birds are Long-billed Dowitchers (not Short-billed) because they are sitting in a freshwater, non-tidal, muddy-bottom lagoon. 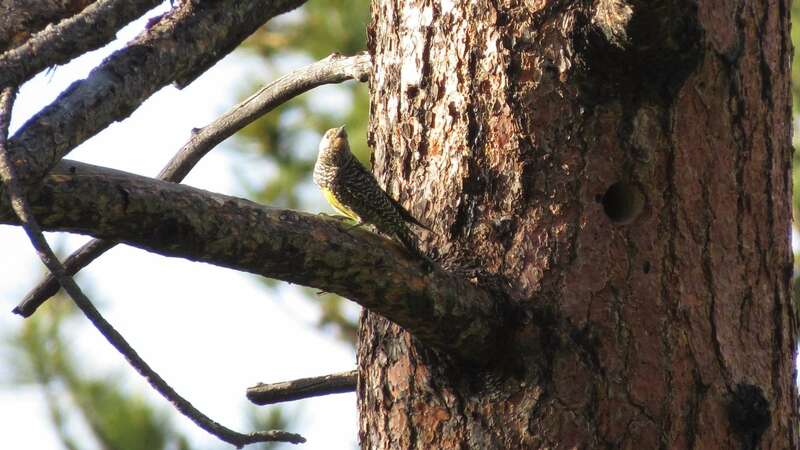 After lunch near the end of the trip, we spent some time watching a pair of Red Crossbills before finally moving on to book signing and gushing. So much cheese. Thanks to Lee Brown for the photo.